The garage door is an essential component of your house. It not only influences the visual appeal of your house but can also improve overall security for your car and other valuables stored in your garage. Like other mechanical structures, it is not immune to wear and tear and, therefore, it will need to be serviced and repaired from time to time. The opener is an integral component of this system. It is quite complex, and requires specialized skills to handle properly. Our Garage Door Repair Buffalo technicians can help you with any related problem. Here are a few of reasons why we are the best at what we do. 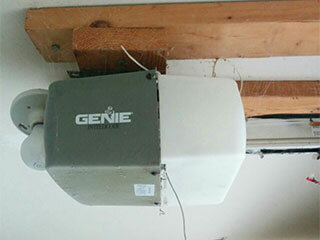 Finding out that your garage door is not working can be quite frustrating. However, you can rest assured that we have the will and the technical skill to handle any possible situation related to your opener. From replacing worn-out sprockets and gears inside it, to repairing circuit boards, motors, drive belts and much more. When it comes to garage door repairs, you'll want a technician that knows what they're doing. We have been in this business for many years, and after serving thousands upon thousands of satisfied clients in and around Buffalo, MN, our experts have gained a lot of experience in dealing with every model and manufacturer out there. You never know when you are going to have a problem with your opener. Therefore, you need to find a service provider that will be there when you need them. That is what our Garage Door Repair Buffalo technicians are best known for. You can count on our professional team to respond to your distress call as fast as we can and do our very best to efficiently solve the problem to your satisfaction, and free you to go about your day.